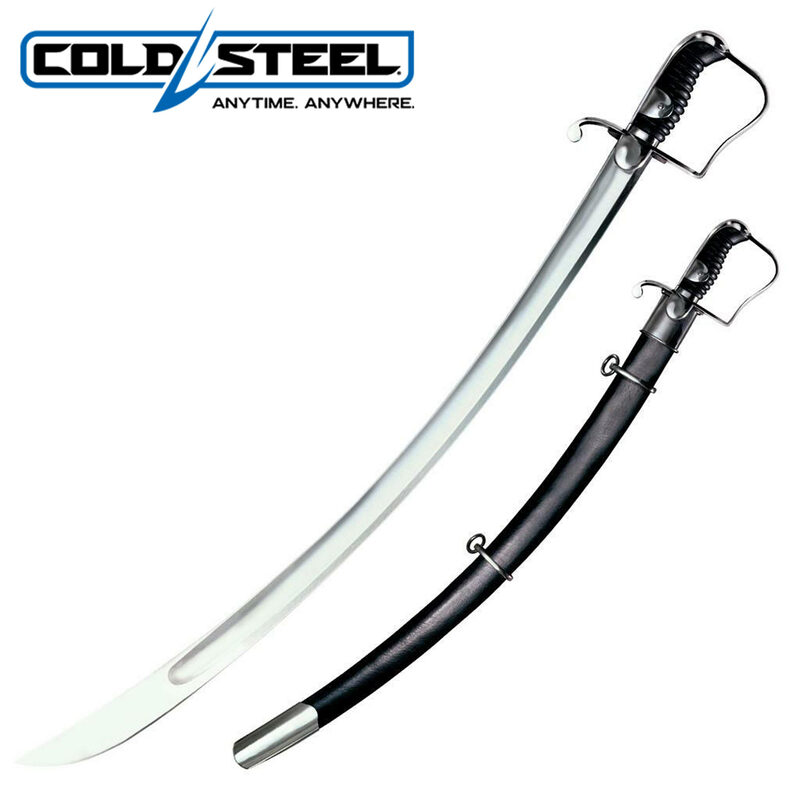 Cold Steel 1796 Light Cavalry Saber Sword | BUDK.com - Knives & Swords At The Lowest Prices! Whether inspired by the Indian tulwar or the Hungarian szabla, the famous British 1796 pattern light cavalry saber enjoyed great success. This saber was first used by the British army and its Hanoverian allies, and then was adopted by the Prussians under Blucher (whose name became attached to the saber) and also by the early United States army. In fact, this pattern was used by the German army up to the 20th century. This highly accurate and extremely durable replica measures 37 3/4" in length, and once in your hand you will understand how it could inflict such horrific wounds as to make it hated by the French. The 33" carbon steel blade is fully sharpened and fits snugly in an authentic leather and wood sheath with steel mounts and fittings. This sword features a leather hilt and hefty guard. This saber is a superb replica, and will be greatly appreciated by Napoleonic reenactors and historical collectors alike! Cold Steel, 88S.